I won’t pretend that I follow the AHL on a regular basis, but I do know that our team does always do well on the ice as well as at the gate. In fact, their 81 points makes the Manitoba Moose the best team in the AHL right now with a league high 38 wins and a league low 128 goals against. 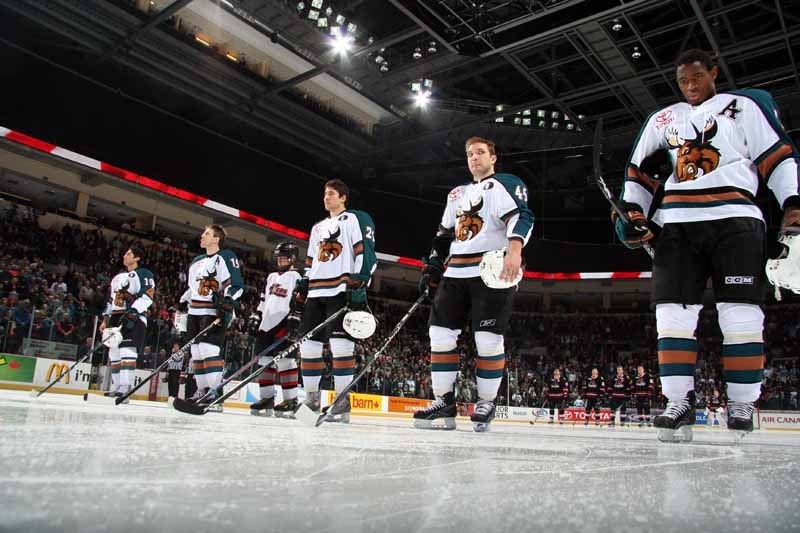 Quite simply, the Manitoba Moose (Vancouver Canucks affiliate) are the league’s most sought after club to play hockey for in the players minds. Winnipeg is after all, the hockey town of all hockey towns and it provides the closest atmosphere to NHL hockey as possible. This is because few teams in the AHL get to play in a brand new NHL caliber arena and in front of an average of 7,133 fans per night. 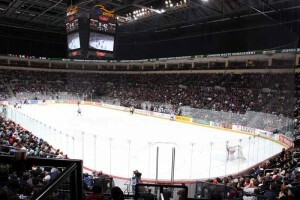 Many nights sell out MTS Centre’s lower bowl with 8,800 fans. 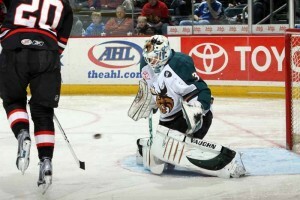 For those of you keeping track, that ranks 2nd in the AHL only behind the Hersey Bears. On occasion, demand warrants the upper bowl of MTS Centre being opened up and 15,000 fans have indeed watched the Moose play. If this isn’t a rock solid example of how much Winnipeg loves hockey, then I’ll definitely need your help finding something else. 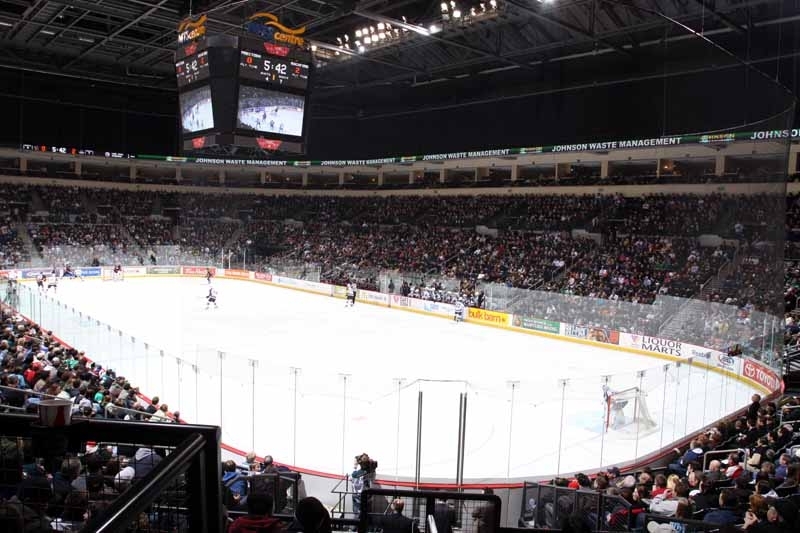 this attendance level is an outstanding indicator of the type of hockey fan that exists in Manitoba…a dedicated one. After all, I am admittedly rarely part of this attendance number, something I intend to change in the future. And trust me, there are many, many others like me that haven’t taken an interest to the AHL, or the IHL before it, since the NHL Jets left in 1996. If we can already sell half the building for the AHL, I challenge anyone to explain how we wouldn’t sell the entire building for the NHL. With NHL prices. There are too many of us NHL hopefuls lurking in the shadows with our wallets on fire. For every person following the Moose, there are five that follow the Flames or Oilers or another NHL team. Increase that number if Winnipeg had our own NHL team to make Calgary and Edmonton our hated rivals once again. In the meantime, it is nothing but positive news to see what the Manitoba Moose have accomplished on and off the ice. I plan to attend a game on March 7th vs. The Providence Bruins. I will more than likely be one of 8,800 people in the stands filling that lower bowl capacity.